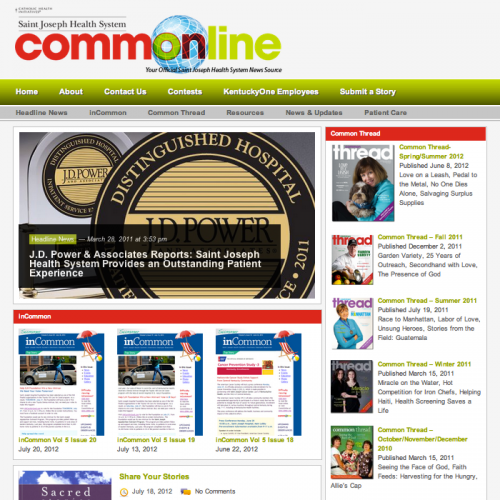 CommOnline is Saint Joseph Health System’s official news site. It’s your one source for late-breaking news, updates, ongoing communication and resources related to Saint Joseph – Berea, Saint Joseph East, Saint Joseph Hospital, Saint Joseph – Jessamine, Saint Joseph – London, Saint Joseph – Martin, Saint Joseph – Mount Sterling and Flaget Memorial Hospital. Saint Joseph Healthcare contracted HostGuardian.com to setup their organizations news outlet.